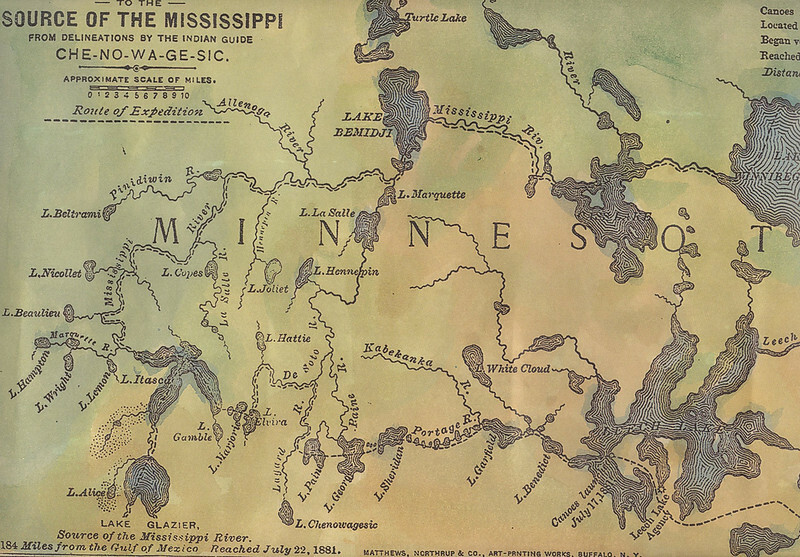 Includes Glazier's exact canoe route and dates from his journey through the headwaters of the Mississippi River to the lake he called Lake Glazier. Original, signed, hand-painted version of this 1887 map is also available for $120. PHONE 888-255-7726 to ORDER OR INQUIRE.